Smokey chicken flavor with a added layer of Bar-B-Que sauce and Mesquite seasoning. 2 oz each of Original, Steakhouse, Cracked Black Pepper, Cajun, Sweet, Original Chicken, Buffalo Chicken, BBQ Chicken. 4 oz each of Original, Steakhouse, Cracked Black Pepper, Cajun, Sweet, Original Chicken, Buffalo Chicken, BBQ Chicken. HOT Meat Sticks and Original Meat Sticks. Cooked to perfection. Be careful you will become addicted. 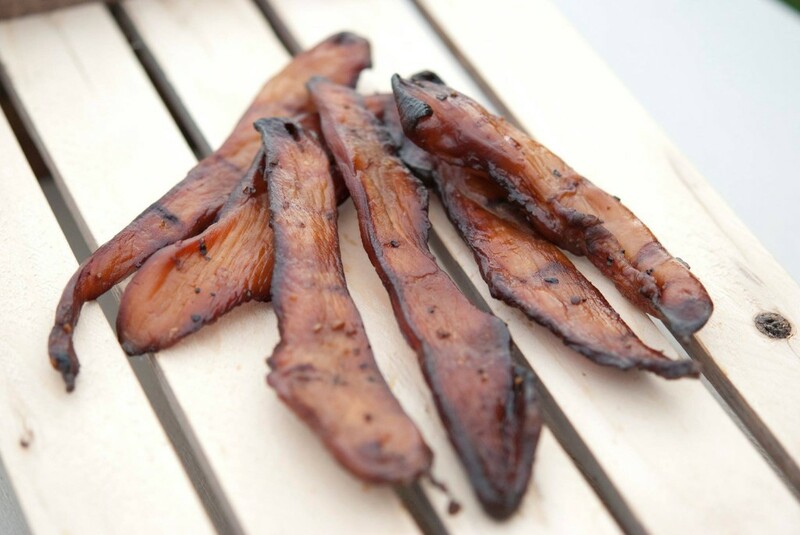 Same great Thick cut Hickory Smoked Bacon with a blend of Cajun Seasoning. Great flavor with a nice amount heat!!!! 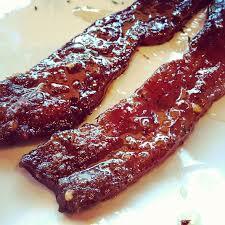 Thick cut Hickory Smoked bacon with fresh Cracked Black Pepper!!! Tender pieces of smoked beef jerky layered with a homemade BBQ Sauce. We would love to get your feedback on this new flavor!!! This gives plenty of spotlight to the freshly cracked black pepper. We have come up with a New Sampler to feature our two new flavors. 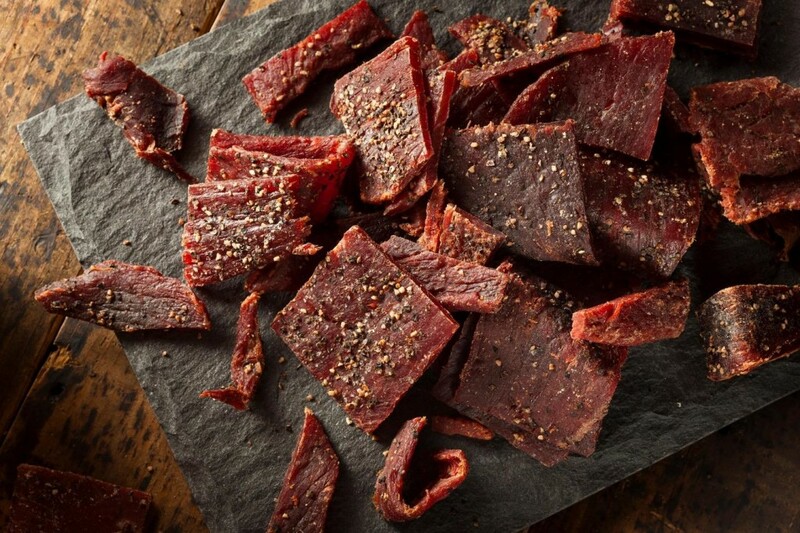 This Jerky Bites Sampler is a great way to try our new flavors and get some of your old favorites. Real Wood Smoked Chicken Jerky with our own Buffalo Wing Sauce. Give your Chicken a Little Kick!!! Available Sunday, October 1st till Wednesday, October 3rd. 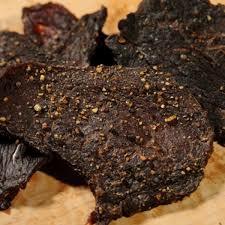 New Chicken Sampler features all four of our Chicken Jerky Flavors. Great way to get your Chicken Fix!!! The beef sticks have a long shelf life although they are GLUTEN FREE they do have preservatives in them. We hope you enjoy our new CRAZY GOOD MEAT STICKS!! Smaller bite sized pieces of our jerky as requested by our customers! Finger-lickin’ good! All gift baskets will be shipped on 12/12 to ensure delivery before the holidays. If you want your basket now, please email us after your purchase. Canadian customers will receive additional invoice within 3 days of purchase for shipping. "The original extra smoky natural meat with a touch of tanginess that's been enjoyed since the 19th century!" "A burst of chile pepper seasoning along with a touch of heat!" "An initial burst of sweet glaze that's tempered by a natural smoke Crazy Horse is famous for!" "a well-noticed steak sauce flavor along with a strong smoky, natural meat flavor, that should give you a good feeling of chomping down a New York Strip slathered in steak sauce!" 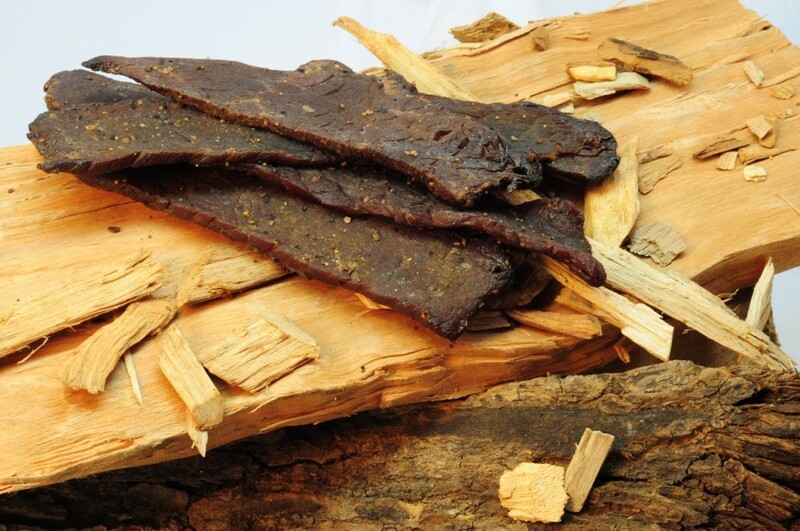 Perfect for those trying our jerky for the first time! Equal amount of each flavor.